Firstly, I would like to thank Cary Hill, the director of the low-budget slasher flick “Scream Park”, for sending me a screener of the film to watch before its official release date. 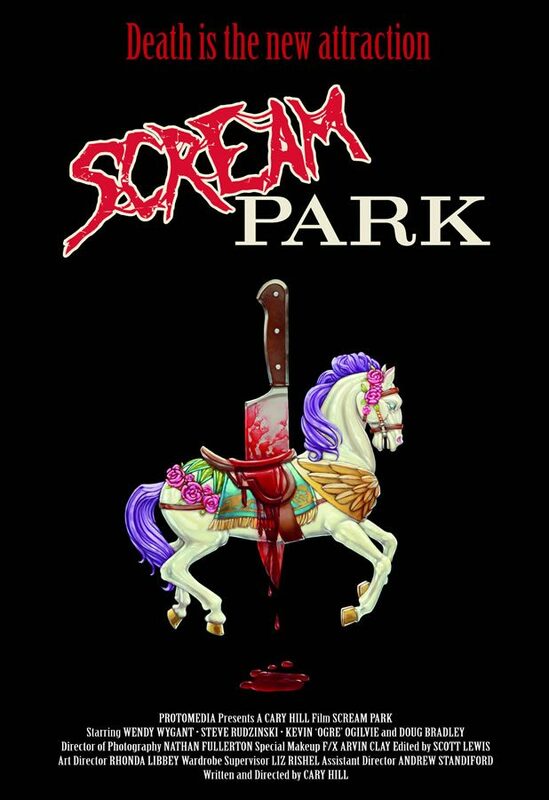 Scream Park is a story about a group of young teens who work at a local amusement park called Fright Land. The park is failing to generate any buzz and it’s lacking income. It becomes evident to everyone that it will be closing down soon. Late one night after closing the young staff and managers decide to have a little party, what they don’t know is that there are masked maniacs inside the park grounds hunting them down one by one. The film stars Wendy Wygant, Steve Rudzinski, Dean Jacobs, Nicole Beattie and the lovely Kailey Marie Harris. There was a cool little reunion of sorts between three of the cast members from the indie horror film “Everyone Must Die” with Rudzinski directing and acting in it, Wygant and Beattie also had parts in the film. Scream Park is clearly a direct nod to all things 80’s slasher orientated. The over the top gore effects that you see in modern horror films aren’t used in this style of slasher. Instead, directors take the less is more approach when it comes to the kill scenes. Along with the cheesy one liners and heavily synth based score and sound effects, it’s like something straight out of the 80’s. The intro score was reminiscent of some of my favourite low-budget slashers like “The Bloody Murder” series and also “Killer Klowns From Outerspace”. Cary’s camera work is very impressive for a first time director. A lot of still shots and steadicam work allowing you to take everything in without certain aspects being forced on you. 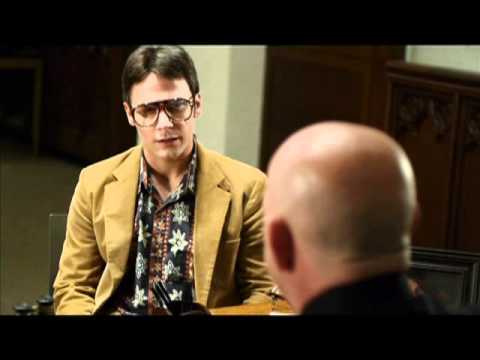 It has amazingly clear dialogue and overall sound, considering it was made on a limited budget. There is some really clever sound effect placement throughout some of the more suspenseful scenes. There is of course, the fun but cliché cheesy one liners throughout the film. They are mostly from the “jock”, Tony (played by Dean Jacobs) and also the gorgeous Carley (Kailey Harris). The acting from the main group is pretty solid, although a few scenes are played up a little too much in the second half of the film. It was also a nice touch to incorporate masks into the film, they were very unique and disturbing. Combine the psychopaths in masks with an already creepy amusement park and you have a great setting for a horror flick. The film itself moves at a relatively slow pace, I’m not sure it needed to be that slow with delivering on the action. It’s not like there is a lot of character development either, it’s only 80 minutes long but the first half feels a little plodding. I thought the scene with Carly and the cooker fell a little bit flat. It’s one of the first cat and mouse style scenes and the suspense builds well within the scene. However, once the killer shows up Carly doesn’t scream or fight back, I’m not sure why she doesn’t, I thought it was a little weak. I was disappointed to see Harris’s character wasn’t in the film for longer because she was great eye candy. Some of the editing and transition between scenes was a little sloppy too. The last act of the film offers the most in terms of the action sequence aspect. I was disappointed that the “final” battle was a bit anti-climactic, especially with the killer talking so much trash that in the end it lost all meaning and felt over the top. Scream Park was a blast and great entertainment value. 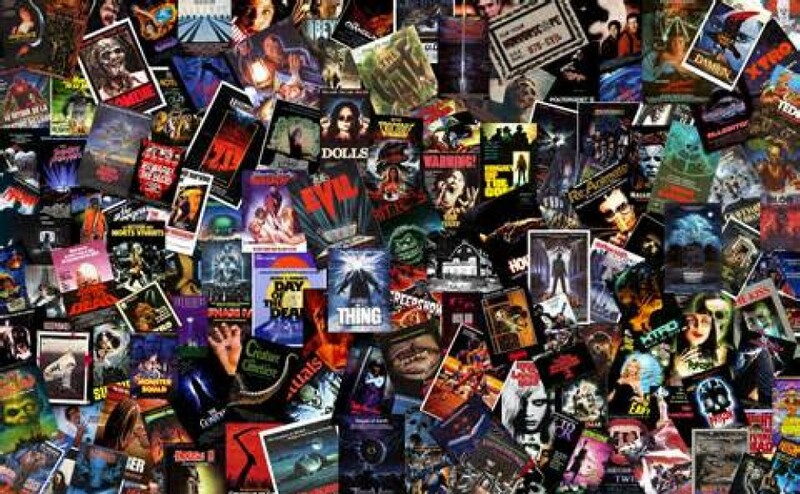 If you’re a huge old school slasher fan there is definitely something here for you to sink your teeth into. You have to wait a while for the gore and the cool kill sequences to come around, but when they do, you won’t be disappointed. Nothing new or overly original is on offer with this one, so just take the film for exactly what it is, 80 minutes of entertainment. I think the main weakness with Scream Park falls in the marketing of the film. The trailer itself gives far too much away about the story, so avoid that before watching the film. I was able to see a couple of the plot twists and turns before they were actually revealed, and that’s mostly down to the trailer giving details away. That being said, I look forward to adding Scream Park to my collection of Slasher films. Be sure to grab a copy of the film as soon as it becomes available!